This article will answer one of the most popular questions we’ve received recently and it’s about finding the right home workout DVD program that works best for you. One of the biggest home DVD manufacturers in the United States (and maybe in the world) is Beachbody and I will review several of their popular fitness DVDs. I will provide my feedback and ratings on the latest workout DVDs based on the categories of “Muscle Building”, “Fat Burning”, “Intensity Level”, “Difficulty”, “Fun Level” and several other important factors that someone who has never used them before might benefit from. With the “Intensity Levels”, please note that you are in charge of your own workout and will be working out at your personal pace. That being said, you should always push yourself beyond your comfort level, without risking injury to yourself. As a certified personal trainer, nutritionist, Beachbody coach and fitness video consumer, I will try to be impartial with my viewpoints. I tend to review workout videos a bit more critically with attention to form and safety which is always important to me as well as for my clients and others reading this article. Although these are all great workout DVDs, there are differences for each one (otherwise they would all be the same). Let’s go over what makes each workout DVD unique and why millions of others have purchased these products and use them to reach their fitness goals! 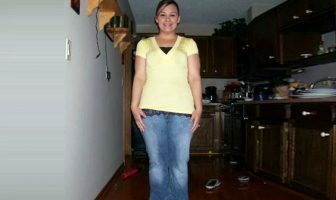 Insanity: By Shaun T gives you awesome results without any weights or additional equipment by using your own bodyweight! Insanity is fun, fast and body-drenching! Insanity is a HIMT (High Intensity Max Training) program which incorporates bodyweight training, plyometrics and drill intervals. Shaun makes these workouts fun and always pushes you to “dig deeper”. It’s still one of my favorite workouts, so much so that I became an Insanity Instructor! Insanity Pros: One of the nice things about Insanity is that it’s only 60 days versus 90 days with programs like P90X. The workouts are also shorter in duration at around 45 minutes. Insanity is all bodyweight movements and doesn’t require any additional equipment. Insanity Cons: If you need additional resistance with exercise bands or weights to build even more lean muscle mass then Insanity is not going to be the best choice since it’s all bodyweight exercises. You will still get a great workout but you will not be overloading your muscles like you would with dumbbells and other equipment. P90X3 with Tony Horton. Tony Horton has done it again and this time in just 30 minutes! I have several of Tony Horton’s videos including 10-minute Trainer and P90X, but P90X3 takes it to another level. P90X3 Pros: Tony Horton in 30 minutes. What can you say? It’s priceless! This DVD is targeted to anyone who has a super busy schedule and has issues finding enough time during the day to workout. With just 30 minutes a day, Tony takes you through an all-new program with super efficient workouts that are jam-packed with concentrated intensity exercises. P90X3 Cons: They use additional equipment such as a pull-up bar and resistance bands that you can purchase via their website or by going to a sporting goods store. PiYo – By Chalene Johnson (the maker of TurboFire, TurboKick and others), now brings you PiYo. PiYo is a low-impact, high-intensity workout combining the best Pilates and Yoga moves at a faster pace, without weights or high-impact movements. You can get great results, sculpting long, lean muscles, while improving and increasing your flexibility all while getting in a great cardio workout too! PiYo Pros – Improving flexibility and learning new movements while utilizing your own bodyweight all while having fun. It’s awesome! PiYo Cons – If you prefer your workouts longer, this may be a negative for you as most of the PiYo DVDs are about 25-45 minutes in length. The workouts are designed to be performed daily, which can cause a problem if you’re already working out every day doing traditional exercise. If you are already taking Pilates or Yoga, you may not find the workouts as challenging but the second and third month may be the challenge ticket that you’re looking for. Focus T25 with Shaun T – What can I say that hasn’t been said before about Shaun T and Insanity? With T-25, Shaun has condensed the effectiveness of Insanity into 25 minutes along with a nutrition program. T25 has incorporated a great feature that many fitness DVDs implement and that is having someone also performing the exercise at a more moderate intensity. This is perfect for those who are new to working out and it gives you something to strive for. Focus T25 Pros – This video as all of Shaun T’s has incorporated a great feature that many fitness videos employ (and I personally love), and that’s having someone also showing the exercise at a more moderate intensity. This is perfect for those new to working out and it gives you something to strive for as you can follow along at all levels (beginner, intermediate and advanced). Focus T25 Cons – The negatives are about the same as with Insanity; a lot of lunges, lateral moves, squats, jumps, push-ups, and floor movements which can all be stressful or painful if you already have knee, back, shoulder, wrist or other joint problems since this workout program is high impact. Is T25 for everyone? No, I don’t think it is for “everyone” but I do believe and feel that everyone can benefit from doing this workout and if time has always been your reason for not exercising then you might need to get started with this workout and get it all done in 25 minutes! 21-Day Fix – Autumn Calabrese brings a whole new challenge workout with the 21-Day Fix. Autumn’s workouts are fun, fast and effective. To ensure that you get awesome results in 21-days, this program not only offers you the 21-Day fix, but you also receive a menu program, grocery list and my favorite 21-day portion control containers! These are great containers in green, purple, red, yellow, blue and orange. Autumn’s workouts also offer a modified version as well as various cues as to form reminders about how to increase your intensity, and therefore your results! 21-Day Fix Pros: The videos all have a modified version (lower intensity level), that you can use whenever you need to scale back as you increase your strength and confidence. 21-Day Fix Cons: Some of the movements are a little difficult to execute (surrender squats), if you have bad knees, or trouble getting on/off the floor and not all movements are given enough attention to really understand and get the exercise down completely. Body Beast – Sagi Kalev is the creator of Body Beast, as well as a personal trainer, nutritionist, and a writer who has brought his workout to the public. Body Beast is a great way to lean out, peel excess fat off your physique, speed up your metabolism and give all those weights that you have in the house a chance to be used properly. For all the ladies out there, don’t worry. Using weights (heavy weights), will not bulk you up, BUT lifting heavy weights WILL lean you out. Define your body and transform your life in 90 days. Follow the workout schedule that is included along with Serge’s 90-day eating plan. Body Beast Pros: The workouts are based on progression dynamic set training and these are exercises that almost every personal trainer uses. When you purchase your Body Beast system, you’ll be able to download your workouts on your computer, iPad or smart phone, along with a 90-day guarantee. Body Beast Cons: As you progress in the workouts you will need heavier weights. 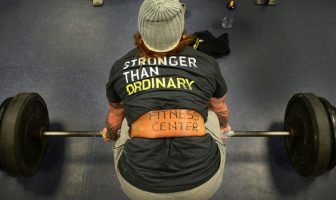 A weight bench is also important but you can also use the floor, but please be aware that you won’t have the same range of motion on the floor as you would with a bench. Cost: Cost does vary on all of the Beachbody products as you can purchase them as a stand-alone (DVD only), or as a “Challenge Pack”. This is where you can also purchase their 30-day supply of Shakeology along with your DVDs. 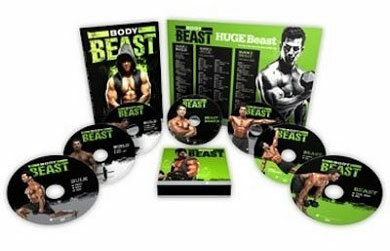 Prices can range from $25 for a single DVD to $150 for the kit versions of these programs. I hope my DVD reviews help you make a more informed decision on your future purchases to find the right home workout DVD for you. Cheers to a stronger, fitter and healthier YOU! Do I Lose Fiber from Foods When I Use a Juicing Machine?